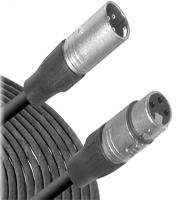 This cable is designed to connect gear with XLR outputs to gear with XLR inputs. It is ideal for use in touring and other live-sound applications. The length of the cable is 20'.